Silver Celtic Engagement Ring : LOVE2HAVE in the UK! 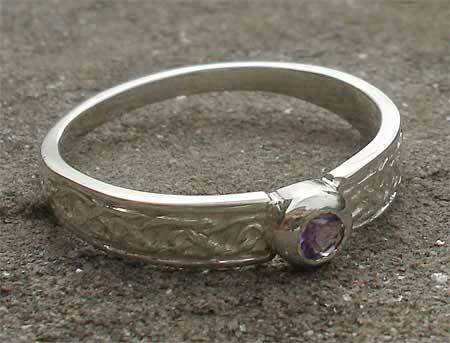 A Scottish silver Celtic engagement ring set with a 12pt amethyst in sterling silver. The width of the ring is approximately 3mm tapering to 1.5mm on the bottom edge. 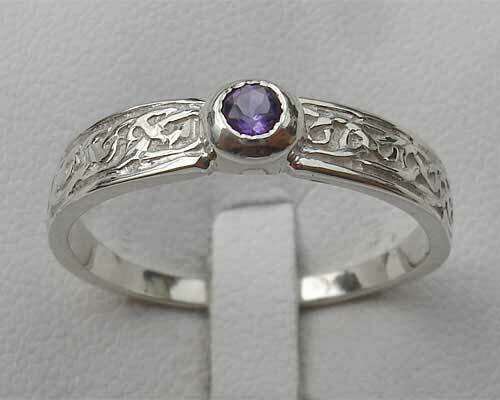 All our Celtic amethyst engagement rings are all handmade with the classic Celtic knot design. They are the perfect choice when it comes to choosing a Scottish Celtic ring for a woman.